"He is on a roll and has a great chance at a course where he excels." We are putting our toe in the water in this with Dogon who has done nothing but please since we bought him from France two months ago. Although he has yet to win over hurdles, he was successful in a three-year-old chase last time and has improved no end since he joined us. Obviously, I am still learning about Dogon who seems to be thriving and works like a good horse. Although all his form is on very soft ground in France, it's possible he will enjoy the better conditions at Cheltenham. We will know a lot more after tomorrow. He has taken a bit of time to get the hang of jumping fences but has progressed this season, finishing second to stable mate Kapcorse at Newbury before winning nicely last time at Haydock, buckling down well and staying on strongly in the closing stages over a trip that was on the sharp side for him. I think Brelan d'As will be much better suited stepping up to two-and-a-half miles in this. He remains in good shape at home, the ground is fine and I am expecting another decent run from him. Is a wonderful flagbearer for the yard and how he runs here over the New course where he shines should help us decide whether he goes for the Gold Cup or the Ryanair at the Festival. While Frodon has yet to win over this distance he has run really well on his two attempts at three miles and the trip shouldn't be a problem on goodish ground. His improvement over the past couple of years has been phenomenal, he is only just seven and he is in serious order at home, bucking and squealing, really fresh and well. On Frodon's current rating of 169 you could argue he would have finished second in last year's Gold Cup. This is not the strongest field there has ever been for the Cotswold Chase and it's exciting to be taking him there with a favourite's chance. One to put your money on? Has been thriving all season and put up a top performance at Sandown when winning the Henry VIII Chase in style with Lalor back in third place and again looked all class in winning the Wayward Lad Chase at Kempton over Xmas. Watching him schooling in mid-week and working on Thursday morning, he was full of life and looks tremendous. Dynamite Dollars is big and and well and strong, improving rapidly and was always going to run again before the Arkle at the Festival. This looks an ideal prep race on ground that is fine for him. Is another of ours who has improved no end this season, winning easily when stepped up to three miles on soft ground at Chepstow. Raised a harsh 13lbs by the handicapper he was then an excellent second back at Chepstow which saw him put up a further 6lbs. Truckers Lodge is the top rated in this on a mark of 142, he has form on good ground and doesn't have any penalties. He has earned a shot at this Grade 2 in a race where it looked as though there might be only a handful of runners. Came tantalisingly close to winning this a year ago, leading at the fourth last fence before being chinned by a head right on the line. He was back to his best last time in the Grand Sefton Chase at Aintree when beating Brandon Hill by one-and-a-half lengths with the help of a great ride from Sean Bowen. Although that was on soft ground he definitely prefers better conditions which he gets here. He is up to a career high mark of 152 now but I am hopeful of a decent run with plenty in his favour. He will love the fast ground and the galloping, flat track at Doncaster and judged on his run when a half length second to Traffic Fluide at Ascot early in November, he is well capable of going close in this. He was then disappointing last time at Huntingdon but he can do that occasionally. While it is true that Art Mauresque has yet to win over three miles, he stayed all right at Ascot and we made quite a lot of use of him when he was fourth in the Betdaq Handicap Chase at Kempton last spring. He is in good shape at home, worked well on Thursday and Harry Cobden is quite sweet on his chances. A nice filly who was green and backward on her racecourse debut in a bumper on the all-weather at Lingfield where she was outpaced before staying on strongly at the finish. She is a work in progress, will have learned from the experience and should run much better now she is racing on grass on a galloping track. I am hoping that she can take a step forward here before she goes hurdling. 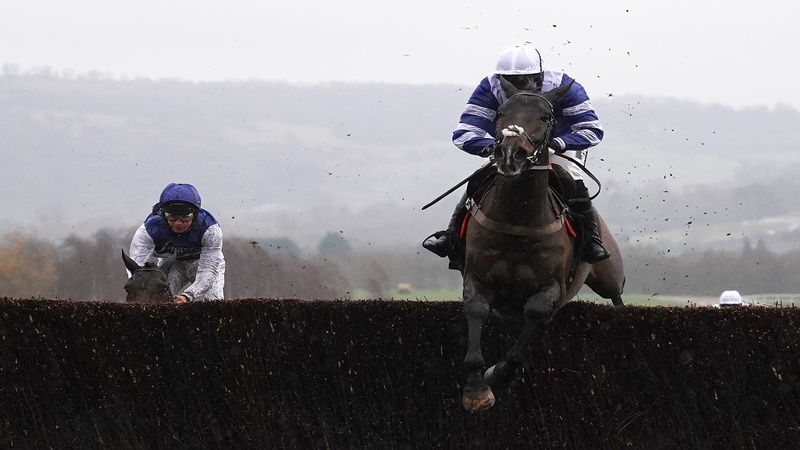 14:25 - Frodon">Paul's Best Chance on Saturday - Frodon 14:25 Cheltenham: "He is on a roll and has a great chance at a course where he excels."